Louise is Visiting Professor (Organizational Change) at Saïd Business School, University of Oxford and Emeritus Professor at De Montfort University. Her research has focussed on the implementation of organizational change in complex, public sector organizations; innovation diffusion and the nature of professional work. 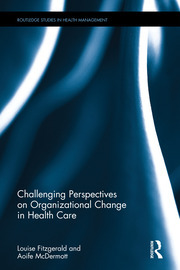 Her most recent research explored issues of knowledge exchange and knowledge mobilization by managers in health care.